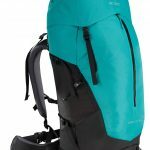 Arc’teyx launches a revamped and entirely redesigned trekking backpack Bora AR Pack in Spring 2017 – a paradigm-shifting, load-carrying backpack that provides more freedom of movement and comfort than any other on the market. 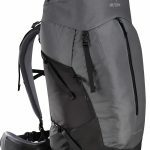 The original Bora introduced a thermomolded back panel and hipbelt to the outdoor industry, redefining the status quo of packs in the mid-90s. The new Bora AR innovates again with its RotoGlideTM hip belt and Tegris® back panel. A hiker’s posture continually adjusts as one climbs and descends rugged terrain. Walking up steep hills necessitates a forward lean, and one’s back arches and thus lengthens accordingly. No other hip belt on the market accommodates this movement and will lift off the hips and back down once the back is straightened, which can cause chaffing and discomfort over time. The patent-pending RotoGlideTM (ROTATE + GLIDE = RotoGlideTM) glides up and down along its track to fluidly follow the lengthening and straightening of your back, and rotates freely along with the natural movement of your hips. These movements allow a natural stride while reducing lumbar and hip discomfort. 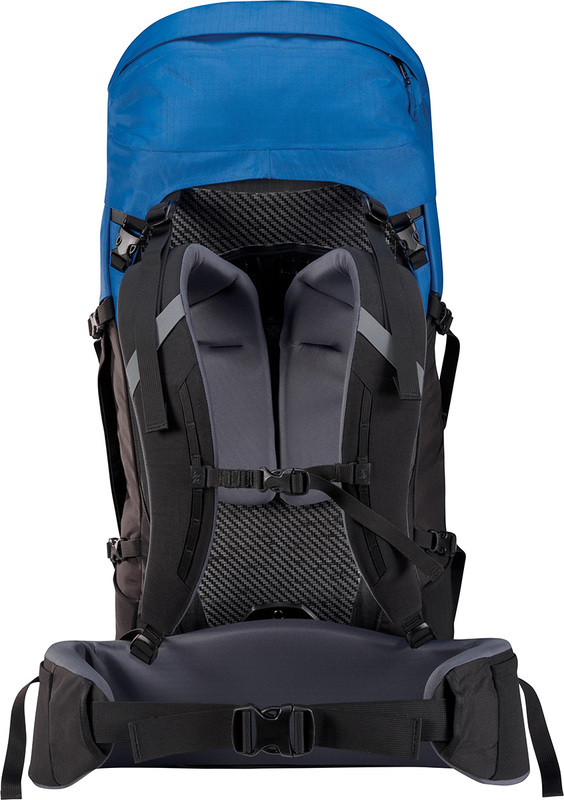 The Bora AR also introduces a new ventilated, thermo-molded Tegris® back panel. Chosen for its thermo-formability, resilience and impact resistance, the Tegris® panel is ergonomically shaped to improve fit and carry comfort. Hybrid materials were selected for the Bora AR’s exterior: N420r-AC2 waterproof fabric is on the top and front kangaroo pockets, with robust N420p-HT nylon on the main body. 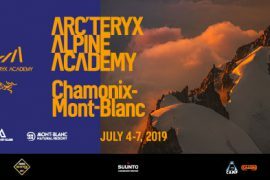 The Arc’teryx GridLockTM shoulder strap adjustment system allows the straps to be custom fit for both height and width. 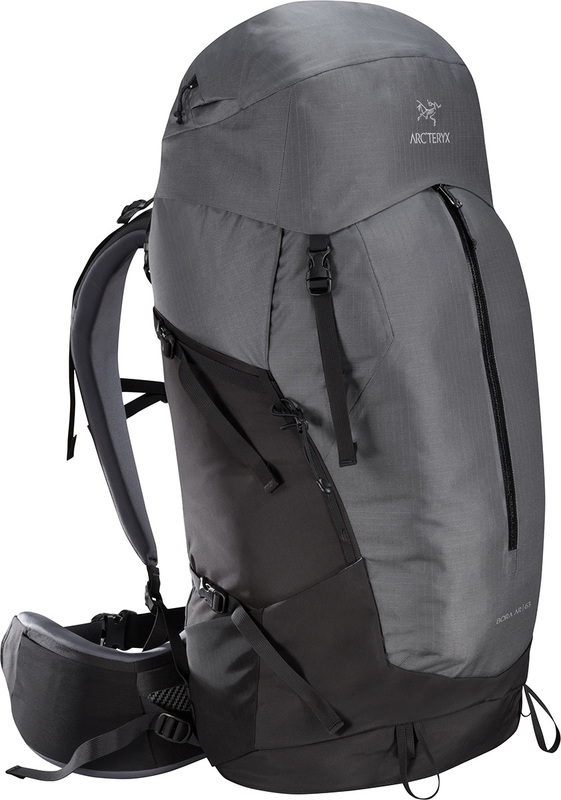 A large front Kangaroo pocket offers convenient access to gear or separation from wet items. 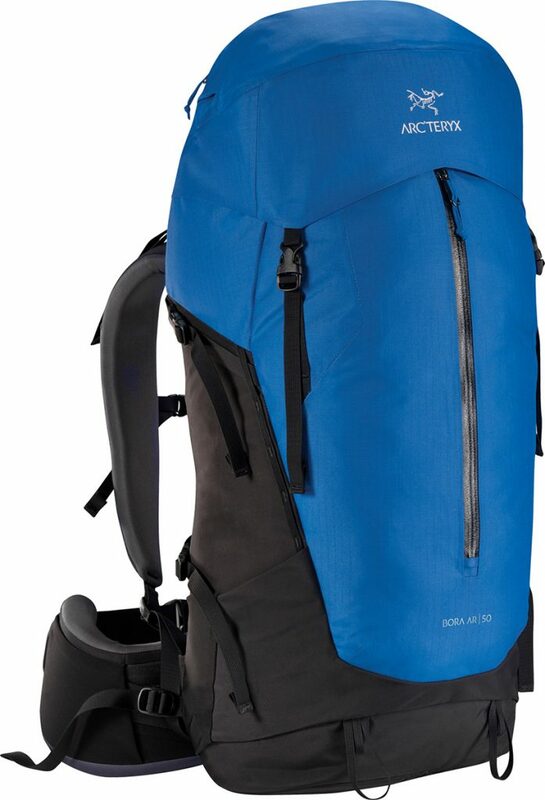 Mountaineering axes or trekking poles can be easily attached to the exterior and a side zipper allows for quick access to the core of the pack. 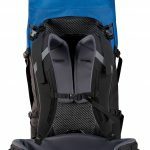 All Bora AR models are hydration bladder compatible. All features combine to make this the perfect multi-day pack. The Bora AR is available in two sizes and in both men’s and women’s versions to accommodate the unique geometry of men’s and women’s bodies. Each size is available in Regular and Tall. 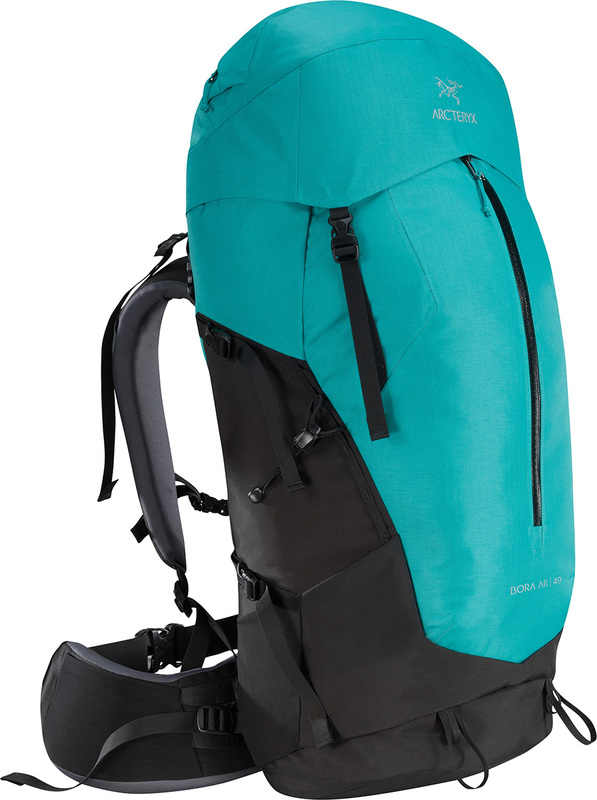 The Bora AR 49/50 is ideal for 2-3 day trips; the Bora AR 61/63 for 4-7 day treks.